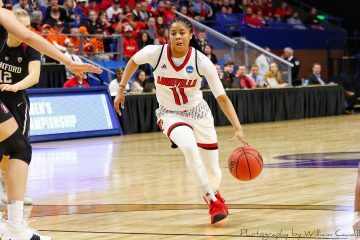 Heading into conference championship week, the #24 Louisville Cardinals’ continued on their red hot streak, and it carried them to program firsts. A revenge win against the Wake Forest Demon Deacons (25-32) and a victory over the #11 Duke Blue Devils (40-15) would send them to the ACC Baseball Championship semifinals for the first time, while a fourth victory against the Pitt Panthers (29-26) would give them a shot at an ACC title. Unfortunately they would fall short in the title game against #10 Florida State (43-17), but it was not because of a lack of effort. Louisville could not be peaking at a better moment. Juniors Devin Mann and Josh Stowers, the two returning position players from last year’s CWS team, absolutely exploded at the ACC Baseball Championship. The duo combined to bat 15-34 (.442), 18 RBIs and 4 home runs at the tournament, with Stowers batting .568 with 5 home runs and 19 RBIs in his last 9 games. The starting pitching also put up solid games in 3 of their 4 ACCBS outings, with freshman Reid Detmers, junior Adam Wolf and sophomore Nick Bennett all going at least 5.2 innings while surrendering 2 earned runs or less. Out of the pen, junior Bryan Hoeing in his outings against Wake Forest and FSU would combine for 5.2 scoreless innings, and sophomore Shay Smiddy would shutout Duke’s high powered offense in the final two innings of their matchup. Overall, this team is firing on all cylinders and is primed to make a deep postseason run. Coming up this week, the Cardinal Nine will head down to the Lone Star State after it was announced they will participate in the Lubbock Regional for the opening round of the NCAA Baseball Tournament. The regional is hosted by the #1 seeded and #9 nationally seeded Texas Tech Red Raiders, with Louisville claiming the #2 seed in the regional. Beneath both teams, #3 seeded Kent State and #4 seeded New Mexico State round out the regional. 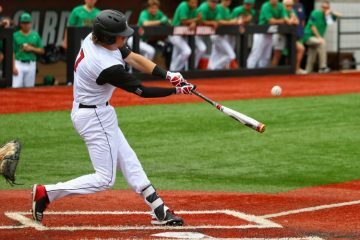 Louisville faced the Red Raiders earlier this season when Texas Tech was the #3 team in the country, and the Cardinal Nine split the two game series at Jim Patterson Stadium. As of right now, tickets are only available for purchase to Texas Tech season tickets holders, but will be made available to the general public on Wednesday, May 30th at 8:30am on Texas Tech’s official website. Louisville’s first game of the regional this Friday will air on ESPN3. Junior outfielder Josh Stowers matched his career high of 6 RBI and was a single short of the cycle in the game against Wake Forest. Sophomore oufielder Jake Snider matched his career high of 3 hits in the game against Duke. Saturday’s victory against Pitt marked their 12th straight against the Panthers. Sunday’s ACC Title game vs. Florida State was Louisville’s fourth postseason conference title game appearance (2 wins in 2008-09). Adam Wolf, Devin Mann and Josh Stowers were all named to 2018 ACC Championship All-Tournament Team. Head Coach Dan McDonnell is 26-8 in the regional round and has won his last 15 regional games. Louisville will spend the entire week on the road in Lubbock, TX for the Lubbock Regional hosted by Texas Tech. Regional play begins Friday and will conclude on either Sunday or Monday. The Lubbock Regional bracket can be found here. Collectively, Texas Tech is just as dangerous as ever when the Cardinals first faced them earlier this season. They rank in the top 15 in every major offensive statistical category, as well being ranked #2 in the nation in slugging percentage. 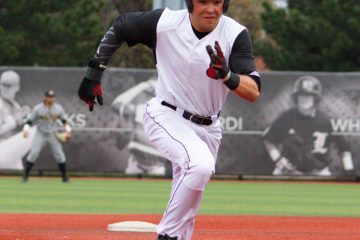 As dangerous as every Red Raider is at the plate, none are more dangerous than the 1-2 punch combination of infielders Josh Jung and Grant Little. Both have batting averages over .375 (.381 and .378 respectively), have slugging percentages over .650 (.650 and .675 resp. ), have an OPS over 1.100 (1.134 and 1.152 resp. ), and have double digits home runs (11 and 12 resp.). They are monsters at the plate who can’t be stopped and can only hoped to be contained. However, if the Red Raiders have any shot at falling to the Cards, it would be because of their pitching. They fail to rank in the top 100 in both ERA and WHIP, and their walks allowed rank is just 25 spots from dead last. Beating Texas Tech will come down to beating them at their own game and scoring with more ferocity than them. Kent State is a much more daunting task than one might initially think. They have a relatively solid offense, ranking in the top 50 in batting average and runs. Senior outfielder Nick Kanavas will lead the way for the Kent State batters, batting .358 and accumulating 92 total bases despite hitting only 1 home run. The Golden Flashes’ bread and butter however comes from their pitching, posting statistically the second best pitching staff in the regional (behind Louisville). Their ace in the rotation is junior right-hander Joey Murray, who boasts a 1.71 ERA over a whopping 94.2 innings pitched, and a strikeout-to-walk ratio of 139-38. Backing him up out of the bullpen, southpaws Collin Romel and Jack Zimmerman combine for just 6 earned runs over 32.0 innings pitched and 41 strikeouts. Unlike a potential matchup with Texas Tech, Louisville’s regional opener against the Golden Flashes has a better chance at being a pitcher’s duel than a barnburner. For a four seed in a regional, New Mexico State sure does pack a punch. Every single starting position player for the Aggies bats over .300, 4 players have tallied over 100 total bases, 4 players have 50 or more RBIs, and 3 players have 9 or more home runs. It’s an incredibly balanced offense led by infielders Caleb Henderson (.339/.438/.579) and Nick Gonzales (.349.430/.608). While their pitching is nothing to write home about, their prowess at the plate will give them a puncher’s chance. The key to winning this regional and moving on to potentially host a super regional will be the offense. They absolutely cannot find themselves in a lull like when they did for a couple weeks towards the end of the regular season. Josh Stowers and Devin Mann will have to keep being the leaders that they are and continue swinging red-hot bats in hopes of making the hitting contagious to the rest of the team. Logan Wyatt will have to continue being the on-base machine that he is, while players that are not as deep in the limelight as the previous three like Zach Britton and Jake Snider will have to continue to build off their personal late season momentum. My prediction for the regional is that Louisville will win vs. Kent State but lose to Texas Tech. They will bounce back with a win in the losers bracket then steal a game from the Red Raiders to force a Monday winner-take-all game. Unfortunately, I am also predicting that the Texas Tech offense will be too much to overcome in the final game of the regional, and Louisville’s season will end on the final day in Lubbock.